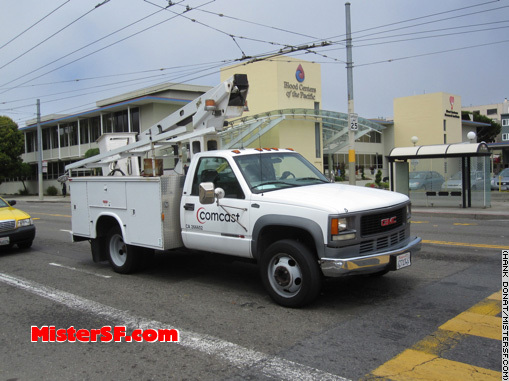 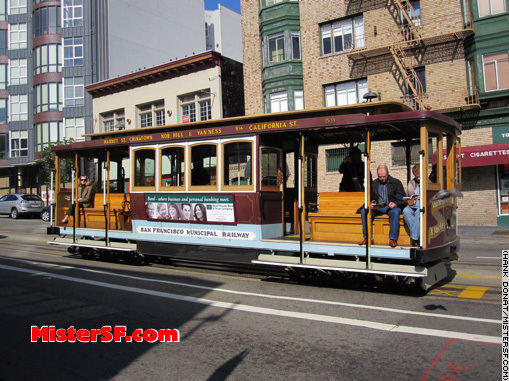 Sammy writes, If I found a Comcast vehicle on a scavenger hunt should it count as a “cable car?” We all agreed to abide by your decision. 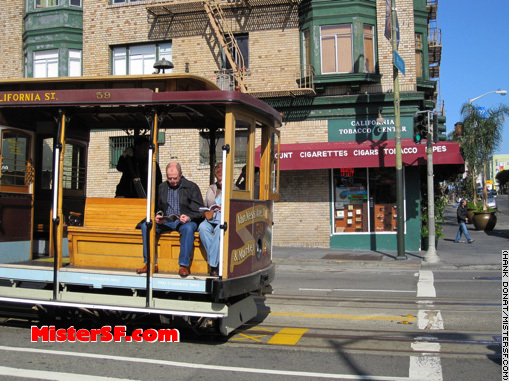 Mister SF says, A cable car by any other name will get you there this time. 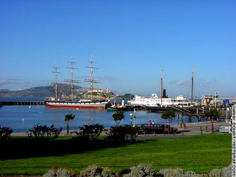 I say it counts. 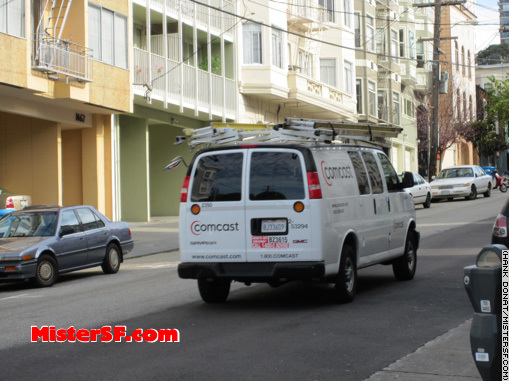 By the way, the Comcast trucks and vans are becoming something of a Farewell Favorite as the local cable company changes its branding to Xfinity. 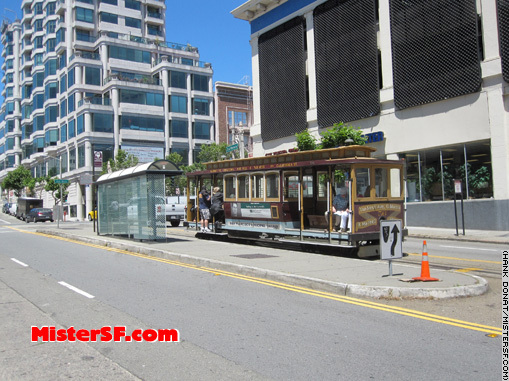 Mister SF’s best and most enduring tip for catching San Francisco’s Cable Cars is to catch the east-bound car at Van Ness and California, where there’s never a line. 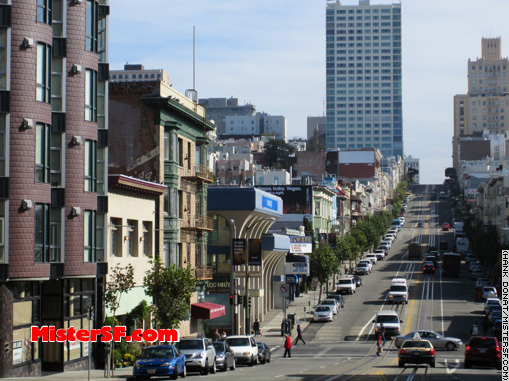 Sit facing North for the best views from the California Street cable.